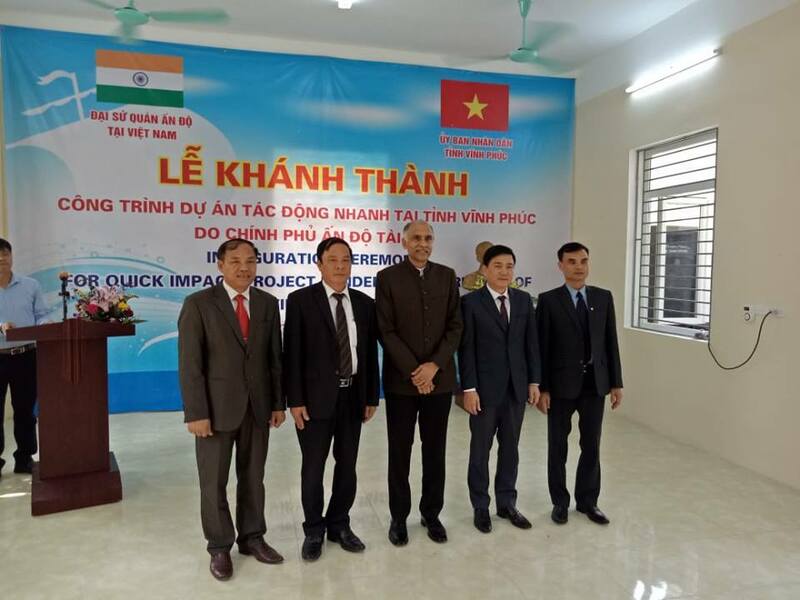 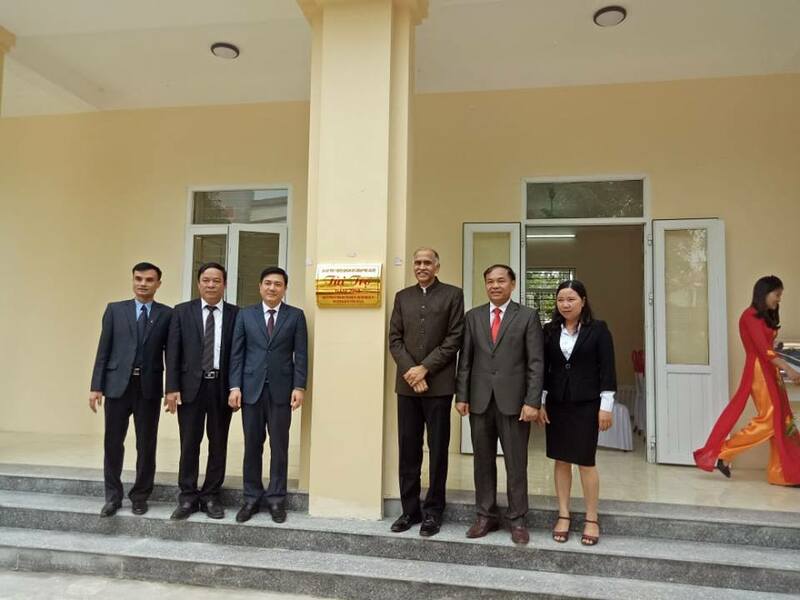 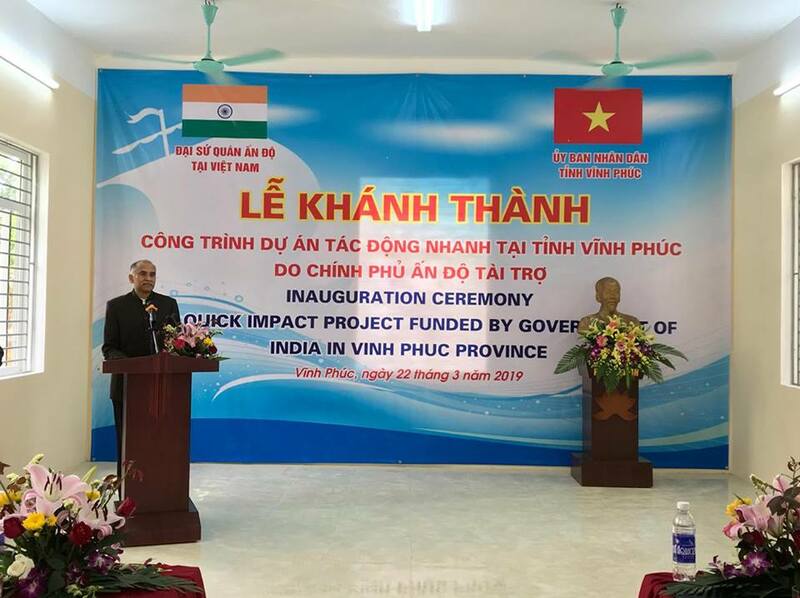 Ambassador P. Harish along with Vice Chairman of the People's Committee of Vinh Phuc Province Mr. 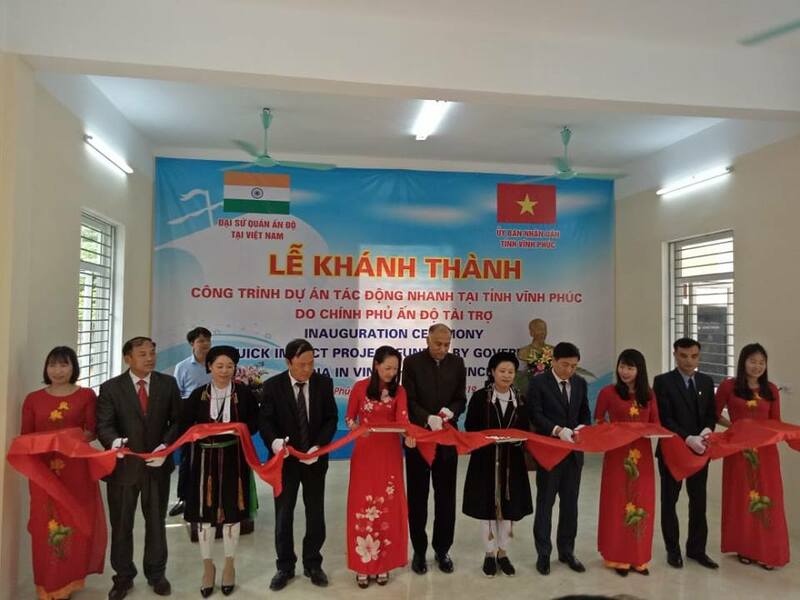 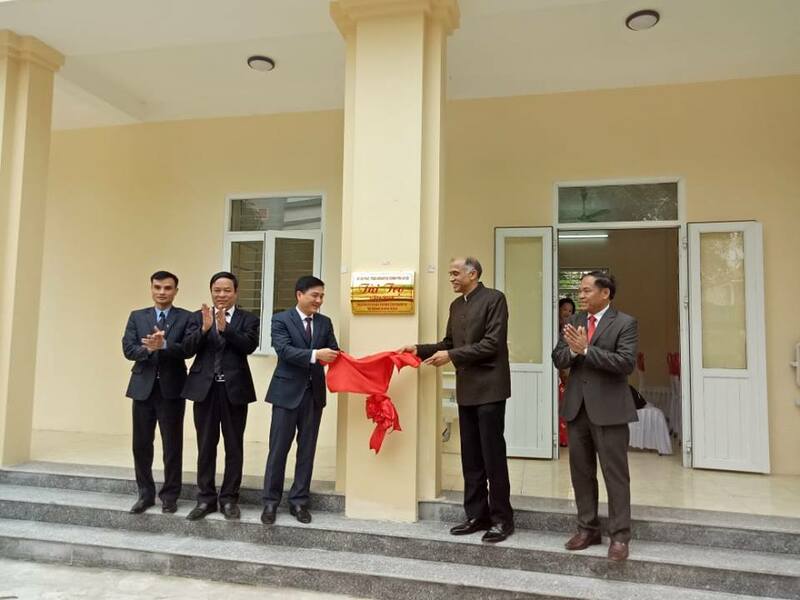 Vu Viet Van, Vice Chairman of People's Committee of Tam Dao District Mr. Nguyen Hong Hiep, and Chairman of People's Committee of Bo Ly commune Mr. Nguyen Trong Dan inaugurated the classroom at Bo Ly Kindergarten School in Vinh Phuc Province which was constructed under the Quick Impact Project fund (QIP) of the Mekong Ganga cooperation framework. 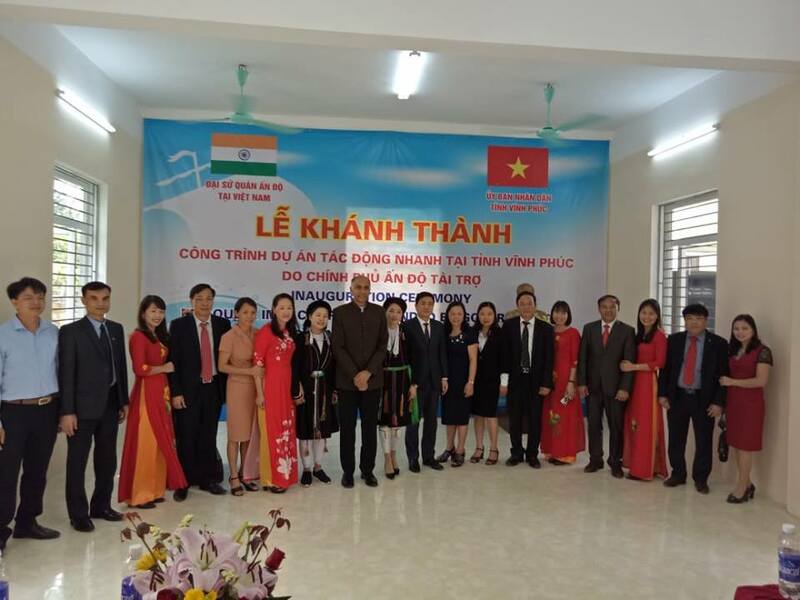 Over 40 % of the population of the commune constitutes ethnic minority communities.